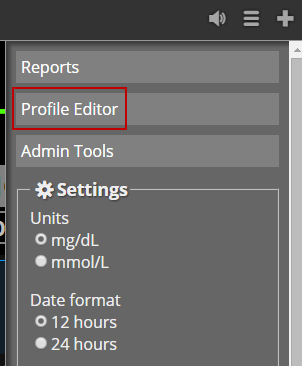 Funnel Cake introduces a new Treatment Profile Editor that makes it easy to create or edit your custom profile. Features like IOB, COB, and BWP rely on individual values set in the Treatment Profile. Funnel Cake adds new support for time-based I:C ratios, Insulin Sensitivity, and basal settings. 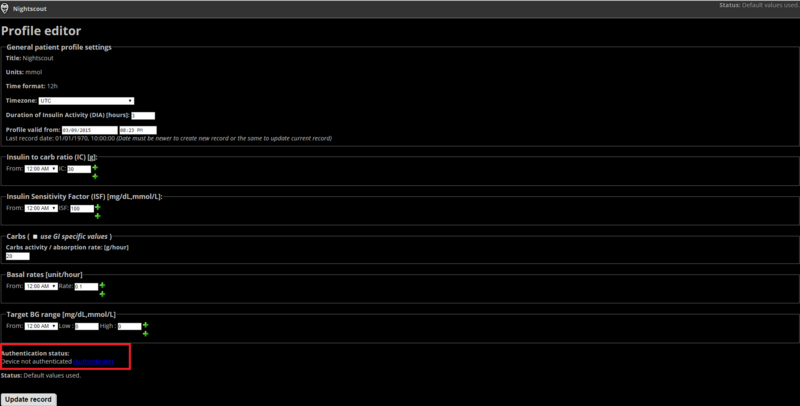 To access the Profile Editor, click the Site Settings Panel (hamburger icon), and click Profile Editor button to launch the editor. 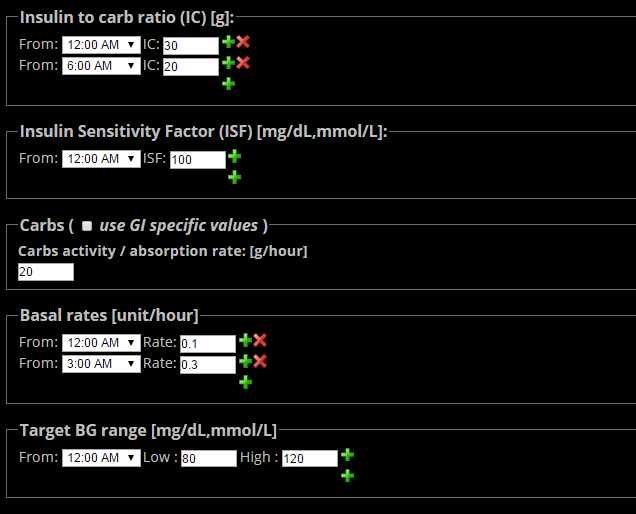 Ensure that you have timezone, duration of Insulin action, and profile valid date set correctly. You can set multiple time-based values by clicking the green + icon; use the red cross to delete an entry.